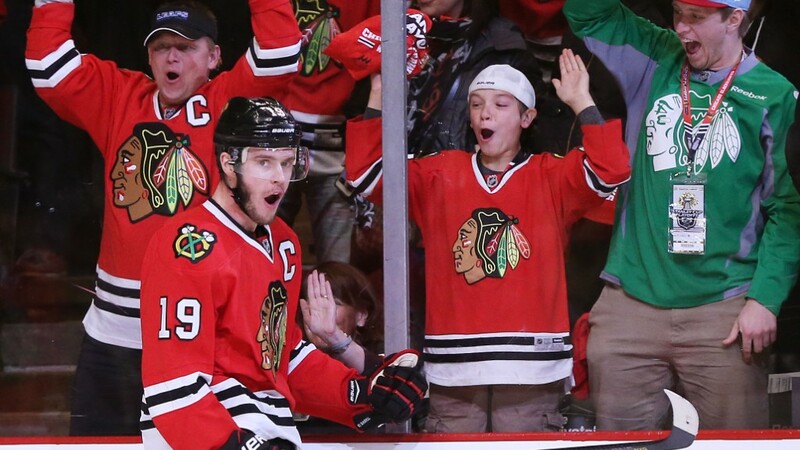 The Chicago Blackhawks could capture their third NHL Stanley Cup in the last six years on Monday night. And if you want to get a last-minute seat for the game, be prepared to max out your credit card. As of Sunday, the average sale price for tickets to Game 6 of the NHL finals was $1,426, according to SeatGeek, a site that aggregates available tickets on resale websites. And prices are going nowhere but up -- the median listing price for tickets jumped 48% jump in one day. Chicago leads the Tampa Bay Lightning by 3 games to 2 in the best of seven series, and Blackhawk fans have proved eager to see Monday's game at the United Center. Even standing room only tickets have inched past $1,000, according to resale listings aggregated on SeatGeek and TiqIQ. It's pure arbitrage for customers who bought tickets at a face value of $140. Hockey fans traditionally have been willing to pay more to see their team compete for the league's title than other sports. Resale tickets to this year's NBA finals are the highest recorded by SeatGeek, which has data since 2010. But NHL resale tickets are still topping those numbers. Chris Leyden, a content analyst at SeatGeek, expects tickets to the NHL's Game 6 to climb even higher by Monday.